Don't even bother calling the paramedics. Just call the morgue. My beloved T3 travel dryer has officially died. Capoot. Bye bye. Adios. Peace out. I never had the slick newer design like the one above, but I'm sure it's even more incredible than my old one, since it uses all this new technology. Doesn't it even look amazing? Sigh. That thing traveled with me from Bora Bora to India and back again! Anyway, now I need some dryer feedback. 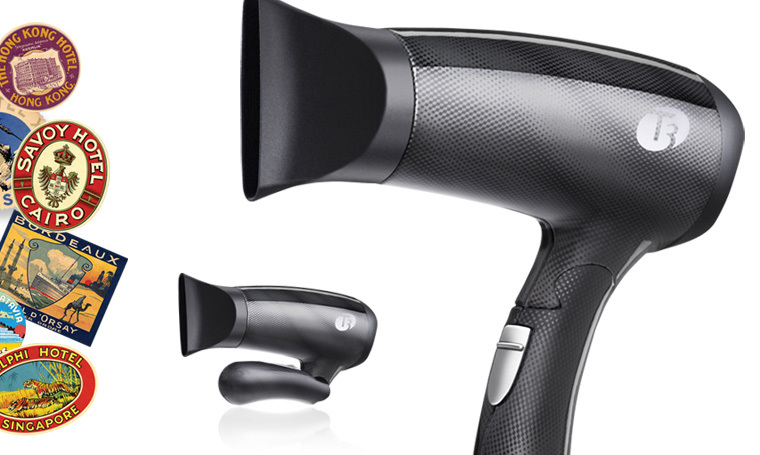 What are your favorite hair dryers, especially for travel? Cause there's nothing to heal old wounds like moving on. 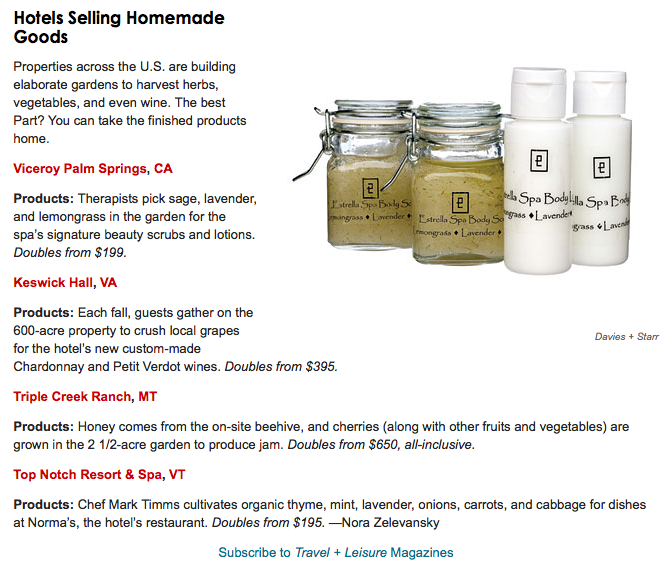 Must toot my own today, as today's Daily Candy Travel by moi (edited by P.) is a round-up of resorts around the world where you can pick, pluck, catch, choose and ogle your own ingredients for high-end meals and spa treatments. 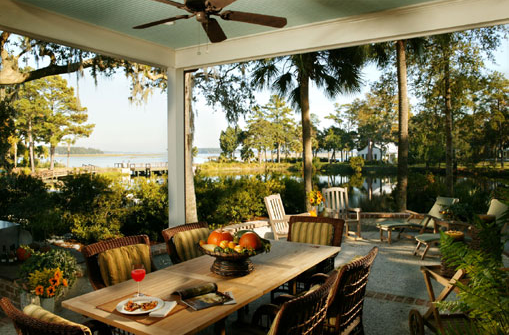 Above is an image from a porch of one such hotel, The Inn at Palmetto Bluff in South Carolina, which I think is just heavenly. The below image of one of their bathrooms makes me even happier. I mean, seriously, I LOVE a good hotel bathroom and this one looks all white and bleached out and clean and springy and lovely. Sign me up for it all!